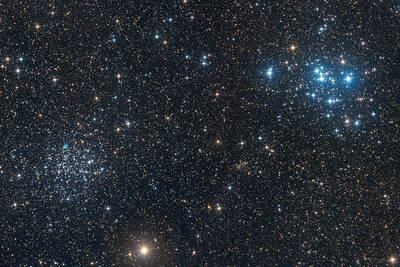 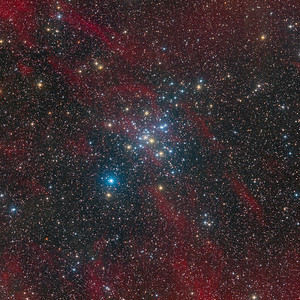 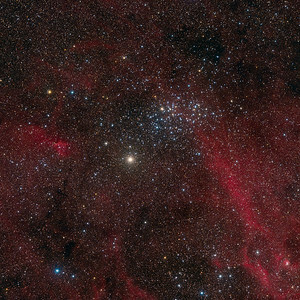 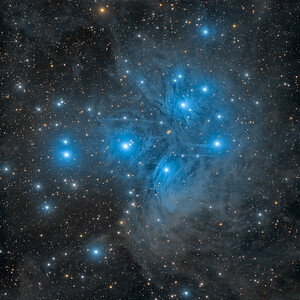 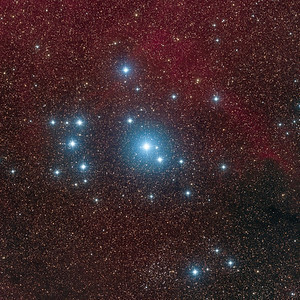 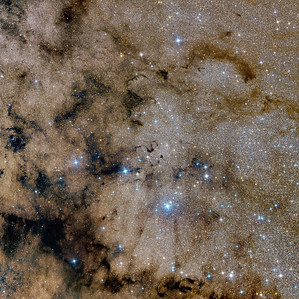 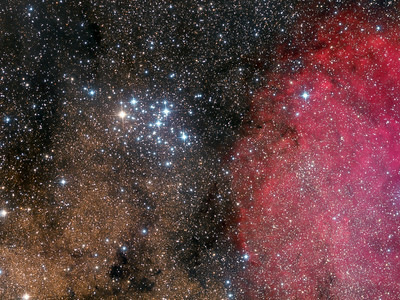 Messier 41 is an open cluster in the Canis Major constellation, first discovered by Giovanni Batista Hodierna in 1654 even if was perhaps known to Aristotle already in 320 BC. 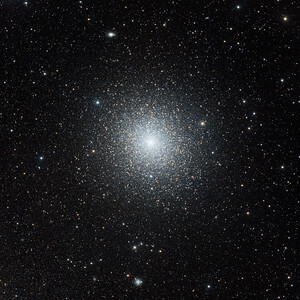 It lies about four degrees south of Sirius, covering an area around the size of the full Moon while its actual diameter is estimated to be between 25 and 26 light years. 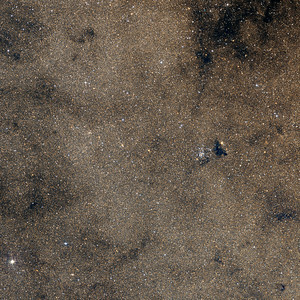 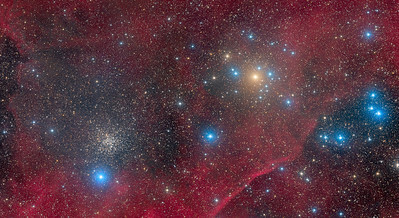 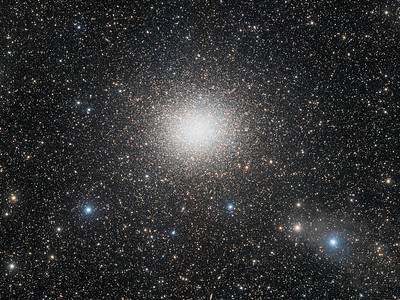 Easy spotted with naked eyes under rural skies, it is a beautiful object in binoculars, with about 25 bright stars and many fainter ones scattered in a field as large as the full Moon, including several red giants, the brightest having an apparent magnitude of 6.3 near the cluster's center. 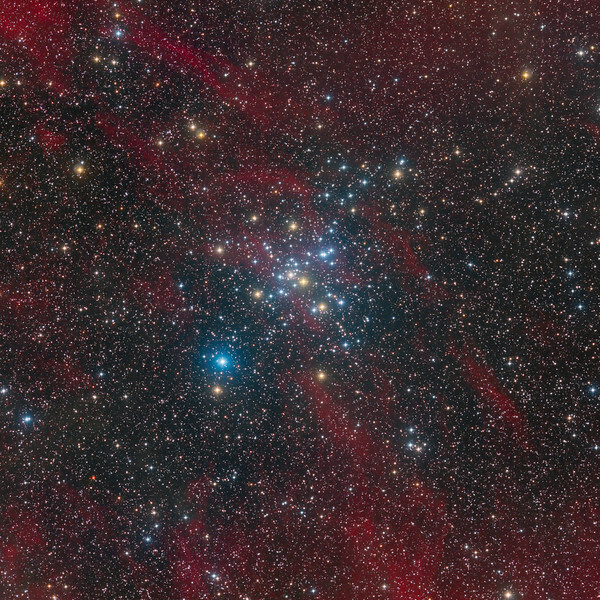 Much less known to most is that the milky way surrounding M41 is rich of faint HII emission that I was able to capture in the image above thanks to a quite long CCD integration through a Ha filter.